Non-symmetrical uni-directional design provides longest service life in light-duty, low-friction hydraulic and pneumatic applications. The thin, flexible lip design quickly responds to low pressure and provides smooth movement with less breakaway force. Beveled lip for maximum fluid sealing ability and a stretch fit ensures stability and a tight static seal on the piston. 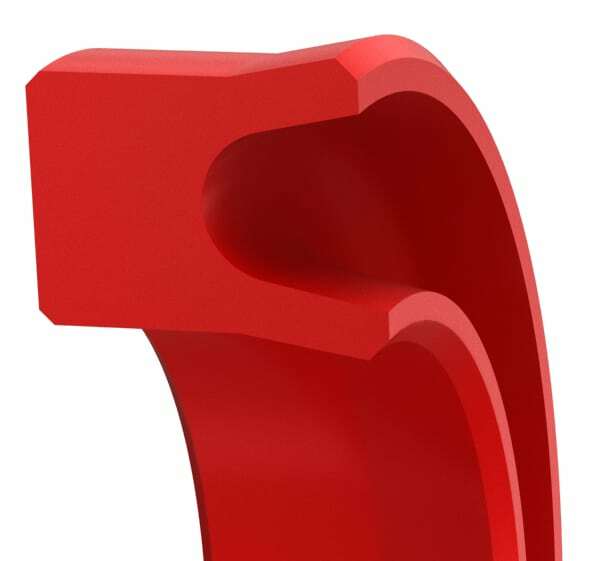 Additional standard materials available: High-performance polyurethanes, NBR (Nitrile), FKM, Viton®, HNBR, EPDM, Aflas®, Hytrel®, Silicone, low- and high-temperature, FDA-compliant seal material grades, PTFE, filled PTFE®, engineered thermoplastics and proprietary specialized Duralast™, Duraloy™, and Permachem™ materials. Size Table (Inch)Standard range sizes listed below are preferred sizes for new design applications. Seals are available for any bore diameter, cross-section and groove width in 0.001 inch increments, including functional range diameter and optional groove width. Additionally we offer any other seal size as required. * Based on using wear rings. Surface finish: bore (A) Ra 4-12µin – Static (D,L) Ra max. 32µin. See Technical Info for more specific information. Size Table (Metric)Standard range sizes listed below are preferred sizes for new design applications. Seals are available for any bore diameter, cross-section and groove width in 0.01 mm increments, including functional range and optional groove width. Additionally we offer any other seal size as required. D= B= Tol.+0.3/-0 min. max. max. * Based on using wear rings. 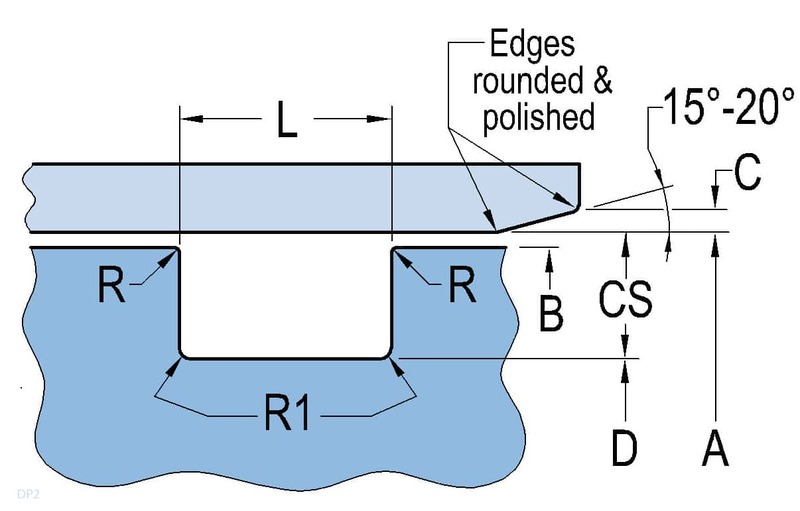 Surface finish: bore (A) Ra 0.1-0.3µm – Static (D,L) Ra max. 0.8µm. See Technical Info for more specific information.